If you’re reading this, chances are you’ve either booked your Antarctic adventure, or you’re in the midst of your research and deciding whether or not to go. If it’s the former, then congratulations, you’re going to have the trip of a lifetime! If not, then read through to check out all the cool things that you totally “need” to pick up to prepare for your adventure, then peruse the Chimu Antarctica packages page to choose your expedition. 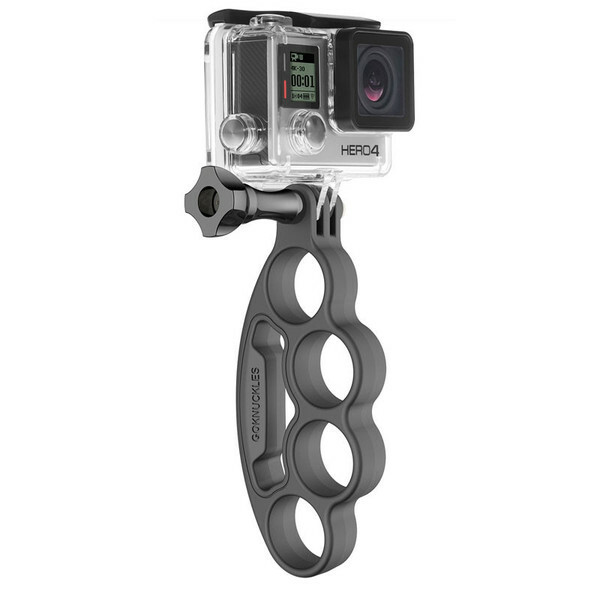 First up in our Antarctica packing list is the GoWorx GoKnuckles attachment for GoPro cameras. The GoKnuckles provide a stable and easy to use handle to easily mount your GoPro on and take it with you as you traverse the beautiful wilderness on one of your daily excursions. This versatile little unit doubles as a set of brass knuckles for when angry penguins attack. Just kidding, please don’t attack the wildlife. But seriously, as they’re soft and durable rubber, they are infinitely comfortable when trekking around, and will go anywhere you do. The unit’s also shake free, so you won’t feel sea sick when you’re watching your footage. Finally, it’s incredibly lightweight at only 85 grams (3 ounces), so there’ll be very little burden to your backpack while not in use. To check out more about the GoKnuckles, the other GoPro accessories, and how to use them like a pro, check out their outside the lens series. 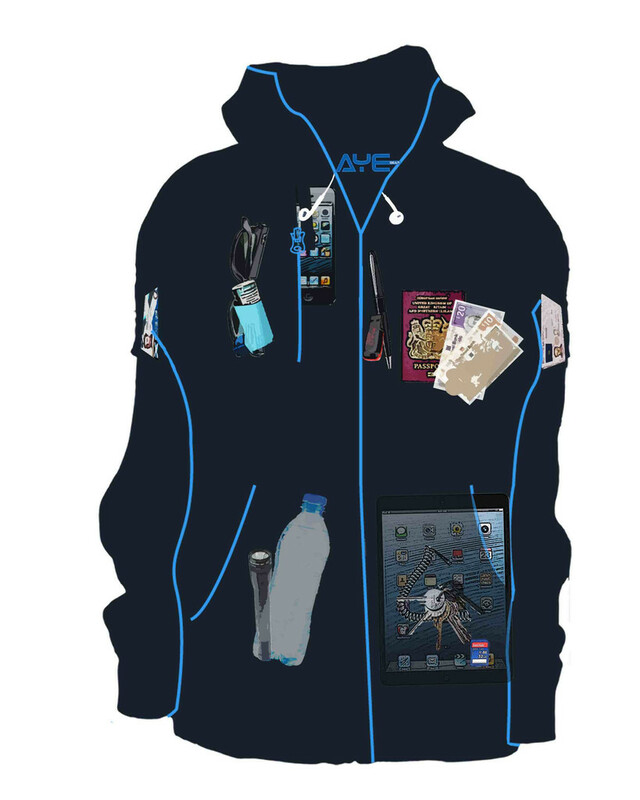 The AyeGear H13 is the Macgyver of fleece hoodies, that has a comprehensive total of 13 unique compartments to store everything from passports and cash, to water bottles and tablets. Designed as the ultimate travelling jumper, the H13 is at its core, a premium fleece-lined hoodie, that’s both comfortable and stylish, with 5 available colours. The AyeGear H13 is perfect for your Antarctic adventure as it is certain to keep you warm and comfortable without inhibiting your movement, and allows you to carry as much as you like on your person, reducing the need for a pack, and giving you peace of mind in regards to security. Check out the AyeGear Blog for great stories and travelling ideas. In an ever digital world, keeping your devices charged for when you need them can be a tricky task, particularly with somewhere as photogenic as Antarctica. 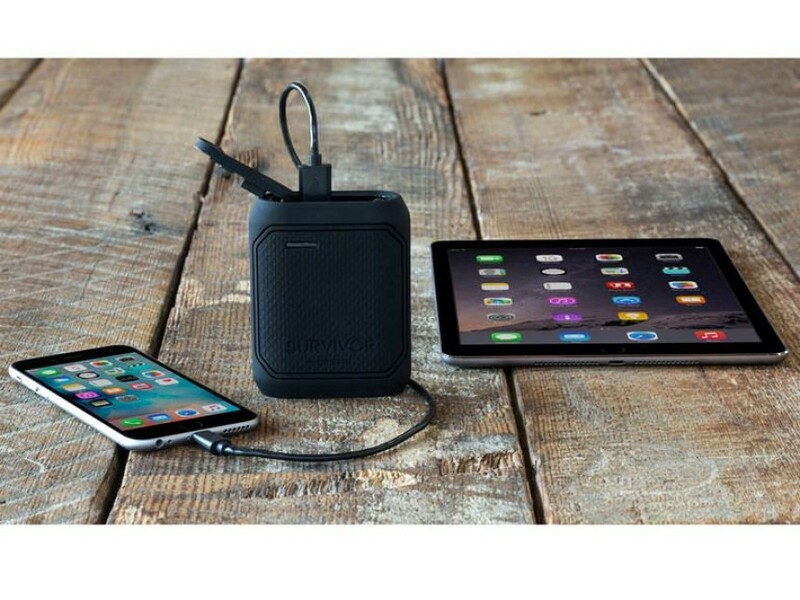 Thanks to Griffin, the Survivor Power Bank offers a compact and durable charging solution. Providing a hefty charge to your devices, it has the ability to fully charge an iPhone 6S Plus an impressive three times. The Survivor was built to live up to its name with a shell that can withstand impact damage from up to 6.6ft (2m) and a self-sealing flap that keeps water, dust, ice, and anything else out of the input panel. Adding to the list of features is a built in LED flashlight, a great alternative to draining your phone by using it’s in-built one. It’s ruggedness and immense charge capabilities are what’s earned it a place on this list and it’s reasonable price will make it hard to pass up on your next adventure. If you’re a photography enthusiast, firstly you’ll love Antarctica and its unparalleled natural beauty, and secondly, you’re going to want to have somewhere to store all your photos to your camera, then instantly, and wirelessly, share it with your devices for those all important Instagram posts: gotta make your friends jealous right? The Eyefi Mobi SD Card provides this service through its EyeFi Cloud, where your photos are stored once connected to your camera, and then shared with your mobile phone, tablet, laptop and desktop computer. All photos taken can be cropped, edited, and shared with your social networks instantly, allowing you to not only capture something in the moment, but share it with your friends and family back home while you’re experiencing it. If you’ve got a few cameras with you, then you’ll be thrilled to know you can attach multiple compatible cameras to the Mobi, allowing you to pool photos from multiple sources instantly. High quality photos and videos, with instant editing and sharing? Yes please. Now to something that you’ll likely find irresistible in an environment either made of and surrounded by water; the OverBoard Waterproof iPhone Case. 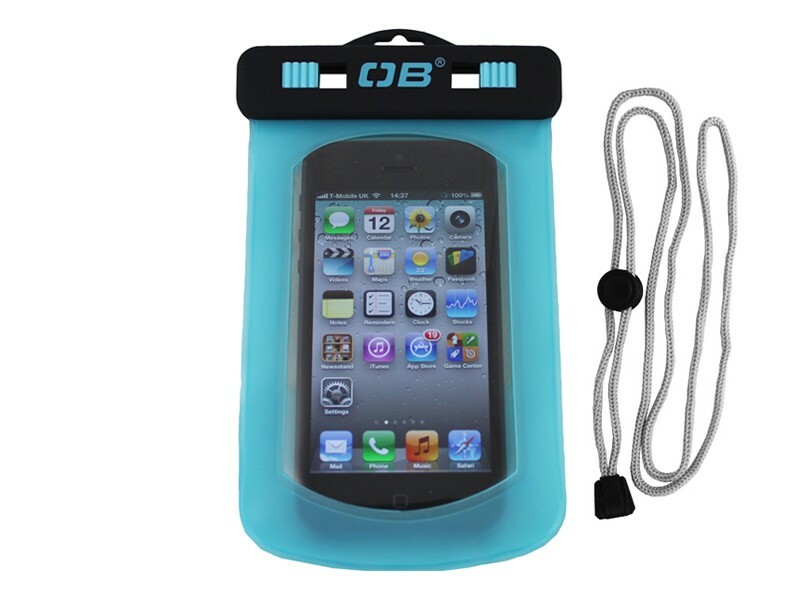 Keeping your precious device safe from water, dust, dirt, sand, and pretty much anything else, the Overboard Waterproof iPhone Case uses a slide and seal system to suspend your device in a pouch with a transparent front that allows you to use the device as normal. With an impressive guaranteed depth protection of up to 6m, you’re device will be safe ‘n’ sound during unexpected, or spontaneous swims. Aside from its name, this case will actually also hold similar and smaller sized phones so be sure to check the on-page size guide to see if your phone is compatible. While you’re browsing the OverBoard site, explore their press page for some great tips on waterproofing your gear! So guess what, it’s cold in Antarctica, like -10 and much lower kinda cold, so we’d be amiss not to put some thermal clothing on this list. The Kathmandu Polypro Unisex Long Sleeve Thermal Top v2 is a great example of an affordable, stylish, and practical thermal garment. The polypropylene fibres used are extremely quick-drying (you know, perfect for somewhere made nearly entirely of ice) and is incredibly lightweight, so wearing it as an underlayer is perfect. 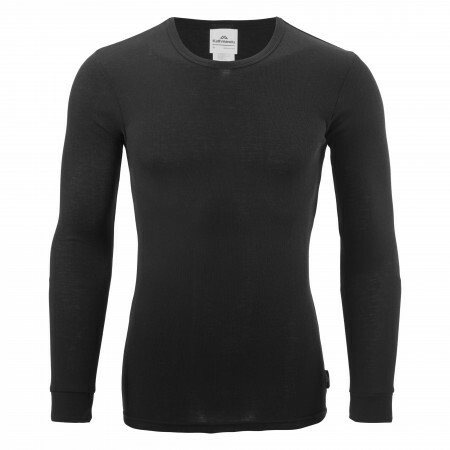 There’s also a range of colours available should you want to show off your thermals to the rest of the passengers! 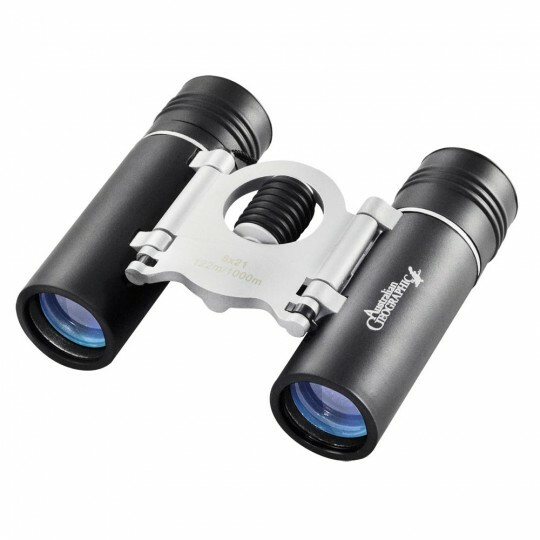 Keep an eye on your favourite seals with the Australian Geographic lightweight binoculars. These little beauties are fixed magnification and are small and compact for easy carriage. With a greater field of view of 1000m, you’ll be able to enjoy the beauty of Antarctica and its inhabitants from the safety (and luxury) of your vessel. You’ll also be able to get some great wildlife watching in while you’re out on excursion. These binoculars are also great for kids as they’re easily adjustable and will fit a child’s face comfortably. Once you’ve returned from your journey, take them along to your next sporting event to take in all the sights, regardless of your seat allocation. Get there: Now that you’ve got your essentials ready for your Antarctic Adventure, get in touch with our friendly team on 1300 873 981 or view our amazing range of tours & vessels here on the website and easily book the adventure of a lifetime. Need some more inspiration? Check out the Chimu Blog and live vicariously through tales of adventure and interesting stories from all over South & Central America and Antarctica. Happy travels!